A certificate is an electronic document signed by a certification authority. It asserts the binding between identifying information and a public key that can be used to authenticate the entity to which the identifying information applies. The identifying information includes a domain name, and the browser verifies that the URL displayed in its address bar is in the domain identified by the certificate. If the certificate is valid the browser will display a padlock icon. Domain validated or DV certificates are the most common type of SSL certificate. They are verified using only the domain name. Organization validated or OV certificates require more validation than DV certificates, but provide more trust. For this type, the CA will verify the actual business that is attempting to get the certificate. Extended validation or EV certificates provide the maximum amount of trust to visitors, and also require the most effort by the CA to validate. Per guidelines set by the CA/Browser Forum, extra documentation must be provided to issue an EV certificate. Let's encrypt certificates has some limitations. There is need to renew certificate every 90 days. If your website is a business that is processing credit cards or transmitting sensitive information, it is recommended that you add a paid certificate so your users can rest assure the connection is valid and secure. Let's encrypt certificate can be activated in Directadmin panel for all of the Omnicore hosting service. Secure Socket Layer is a security protocol that operates between a browser and a website. It provides confidentiality and data integrity by cryptographic techniques. This is used to tell the browser and its user trustworthy information about the website. 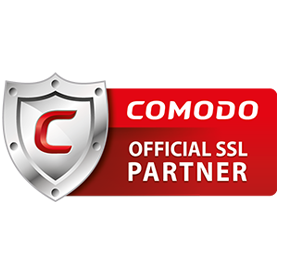 Websites secured by an SSL certificate notify customers that the service can be trusted. It gives visitors confidence that no one can read and/or change the information that is being sent over the Internet. Secured transactions put your company in a unique leadership position which identifies you (your company) as being much more trustworthy. SSL certificate protects Internet users from: deleting data, stealing passwords, card numbers, bank accounts details, faking data, cyberattacks against individual users, companies, organizations and institutions, copying access passwords to intranets and extranets and new methods of phishing. Are you looking for a custom solution? We have extensive experience with enterprise-class environments, check us out!